Most of the freelancer need to finish project quick and use best to for customers. 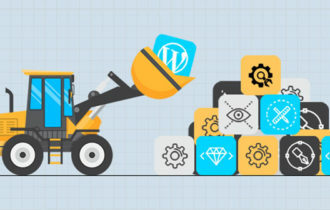 In WordPress, there are many plugins support them to finish layout, content of the page and even take backup website. Choosing right WordPress plugins is the best ways to decrease time and improve the quality of the website before deploying to the customers. Following list is some plugins we used and recommended by friends to their stuff when developing theme or work on projects. 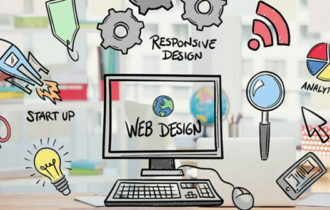 “I want my website fast”, That is the common requirement from customers. They always want fast and great when their site. Of course, there are many ways to optimize speed website out there, and WP Fastest Cache is one of the best solutions for that. WP Fastest Cache plugin creates static HTML files from your dynamic WordPress blog. Cache system generates a static HTML file and saves.1 Other users reach to the static HTML page. WPFC has a simple panel just with some check-boxes and buttons it helps you config caching easily. It is best of cache WordPress plugins. Your customer or buyer always want to modify the content of page, post. So the best ways for you is using a page builder for that features. Kingcomposer is new and the fastest page builder for WordPress community. From within both the frontend or back-end area of a page, post or custom post type, KingComposer can be easily launched allowing users to immediately start designing with all the pre-packaged elements bundled. It is easy to control text, layout with this grid page builder . KingComposer support both backend and frontend mode for your customer play with their creative ideas.. Some case you want to reset website data and start from scratch without reinstall WordPress site. No problem, WordPress Reset plugin helps you on that works. It resets your WordPress to default same as what you get when installing new site. It will remove the previous contents, additions, and customizations from the database only, your theme or plugin still be save when reset. This plugin is very helpful for plugin and theme developers. You often develop the website and theme on your local PC, don’t you? After finish, you want to take the website to demo server or live site for the customer. But export data from database and import to new site is risk way. In this case, you can use the Duplicator to take backup whole your website – files and database, then upload the backup file to the new host and run config. You can have new website easy for some minutes. This plugin is one of best backup WordPress plugins. Meta Box plugin is a powerful, professional solution to create custom meta boxes and custom fields for WordPress websites. The plugin has a large collection of actions and filters which help developers to add more functionality to the plugin or change its behavior. It reached to 200k+ users active some month ago. While development a WordPress website, Some developers often forget set the thumbnails size for the site. Of course, it is too late to have the new site for uploaded images. In this case, Regenerate Thumbnails helps you much on generating all images to new thumbnails size. Regenerate Thumbnails is a simple plugin that lets you regenerate the thumbnails for your image attachments. With a single click, you regenerate all the thumbnails something that saves time that would be spent generating one thumbnail after another. It has over a million downloads for now. Are you WordPress theme developer? Do not forget about this plugin before uploading to market-place or wordpress.org repository. It measures your WordPress themes according to the latest coding standards and practices. Theme Check helps you make sure your WordPress themes are up to the mark. Before upload theme to Themeforest, we often use this with Themeforest check plugin to ensure all things is correct to decrease the time for the reviewer. Debug Bar adds a new menu called Debug at the admin bar that will show cache, total queries, total queried time, memory usage and other helpful debugging information. In addition, you may also see some PHP Warnings and Notices that occur when you enable WP_DEBUG. A must have plugin for developers! Query Monitor is another debugging plugin for WordPress developer. It has some advanced features not available in other debugging plugins, including debugging of AJAX calls, REST API requests, redirects, and the ability to narrow down its output by plugin or theme. In addition, you can set an authentication cookie which let you to view Query Monitor output when you’re not logged in. This Beta Tester plugin lets you update to WordPress Beta. 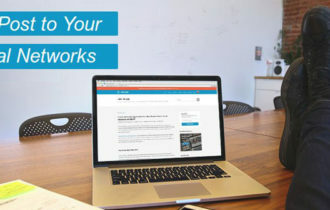 Once installed it will enable you to upgrade your blog to the latest Beta or Release candidate at the click of a button using the built in upgrader. By default once enabled it switches your blog onto the point release development track. We hope this article helpful for developers to improve skill to finish project or theme quickly with the list of WordPress plugins above. If you liked this article, please it for any developers you know or share on Facebook and Twitter.